The Holy Potatoes! A Weapon Shop?! 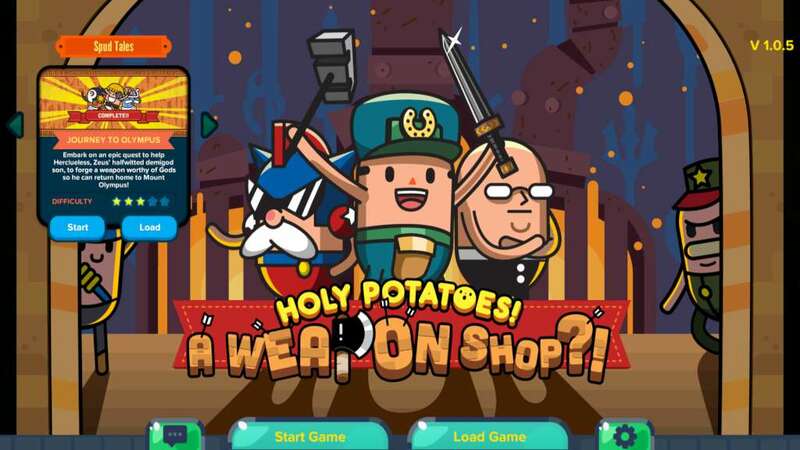 - Spud Tales: Journey To Olympus DLC brings you the very first Spud Tales scenario called Journey To Olympus. 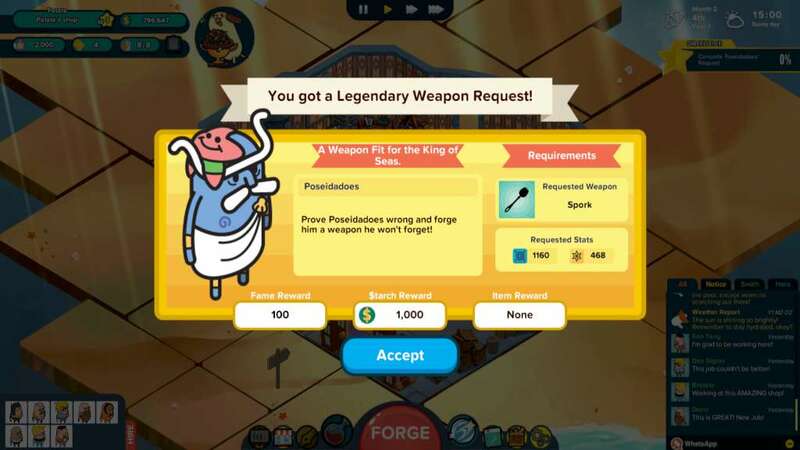 Help Herclueless - Zeus' demigod son - forge a weapon worthy of a God, and help him return to Olympus! Additionally, this DLC includes supplementary bonus content, which will be added to the main story line! Spud Tales are missions that place you in various scenarios with different end goals, objectives, and difficulty levels. 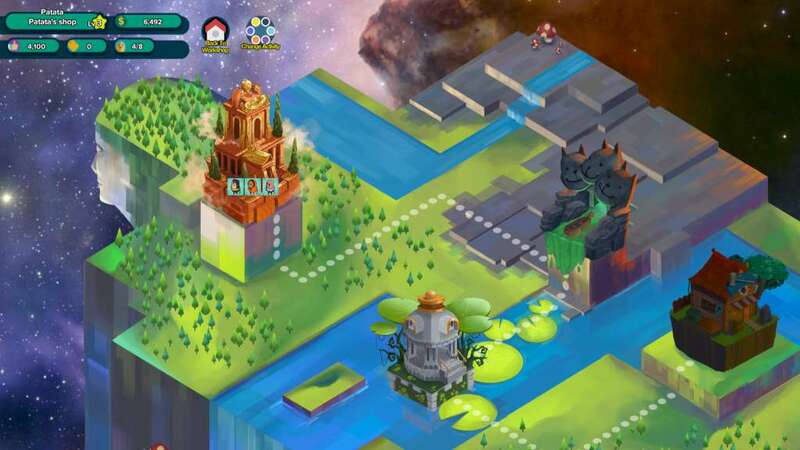 The aim of the game is to complete all the objectives of the specific scenario. When you begin a scenario, you will be taken to a shop separate from the one you own in your normal play-through and will be given a major task to complete. However, scenarios will be a lot more difficult to complete than an ordinary play-through, so be weary of your $tarch and managerial decisions! Encounter 5 new legendary heroes and meet their outlandish requests! 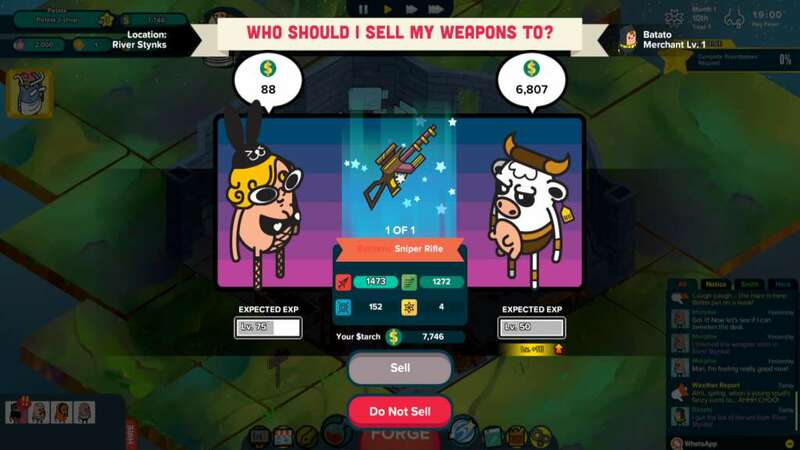 Sell preposterous weapons to 6 new mythical heroes! Forge 3 new Legendary Weapons! 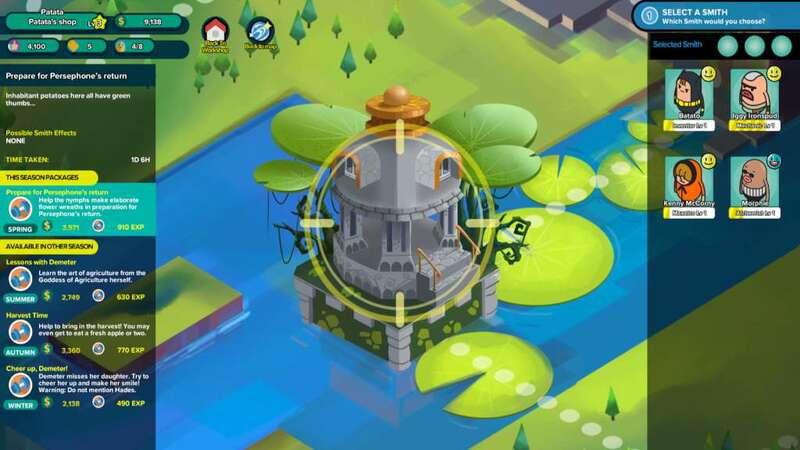 Explore 3 new intriguing areas! 2 new Legendary Heroes and their outrageous requests will be added. Are your smiths powerful enough to forge the Legendary weapons for these alluring Heroes? You will be able to hire 2 new Smiths to add them to your already impressive arsenal of henchmen! Save up your $tarch and hire them pronto! 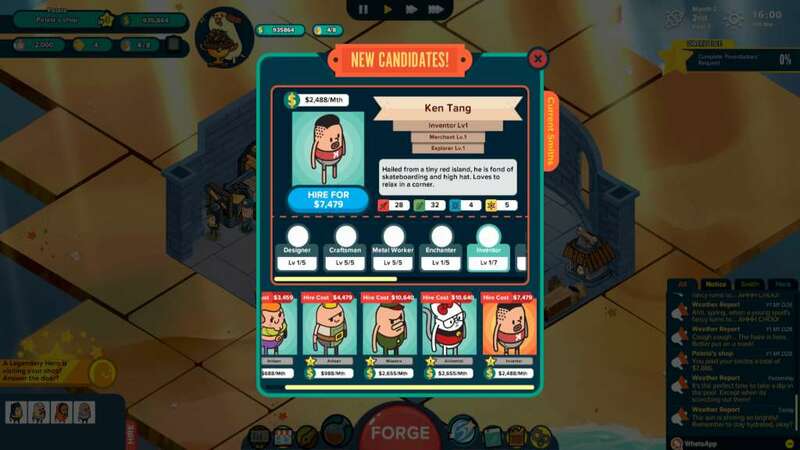 You will be able to Forge 4 new Researchable Weapons!